Well I know you have all been waiting with bated breath to see if we made it to the Apple Isle I’m sure you have all listened to the news to see if any ferries had gone down. Well I can assure you we made the crossing, it was a bit bumpy most of the way but we managed to get some sleep. We arrived in Davenport at 6.00 am and tasted the best Tassie has to offer at the that time of the day at the Dockside Café, all you could eat of overdone eggs, bacon, sausage, tomatoes and beans. The caravan park was only 500m from the ferry but it didn’t open till sometime after 9:00 am so we camped in the local car park until the locals surfaced and we were able to check in. The rest of the day was spent grocery shopping, laundry and a nanna nap to get over last night. 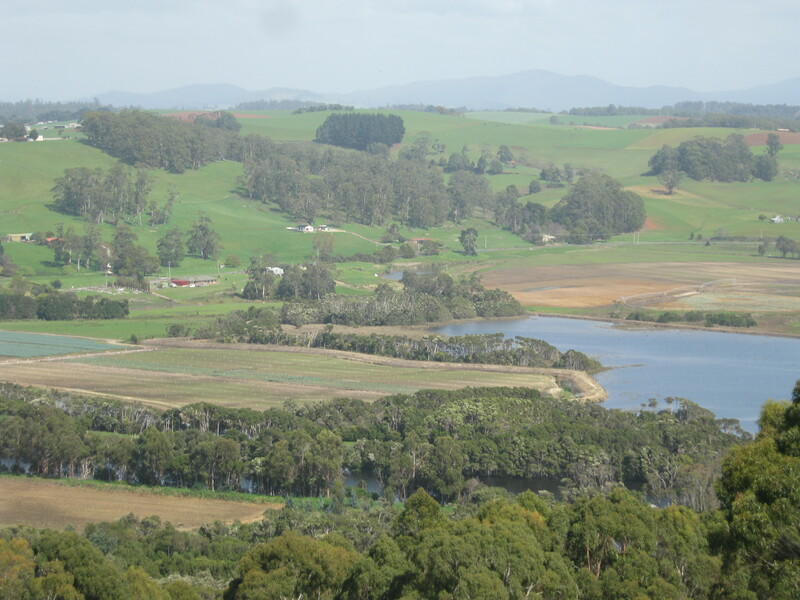 The last time I was in Tassie I attempted to locate the burial place of my great great grandfather William Blackstock who came to Australia from Scotland in 1857 and died of typhoid fever in 1868. That time I did bring any information only that he died in Port Sorell Tas. This time I was going to bring my Family History folder but guess what someome forgot to put in it the van. I did remember this time that he was buried in the Old Don Cemetery close to the A2 highway which I passed several times on my last visit. What to do to find the plot. We started by visiting the Devonport Library where I was given the Mersey Valley Family History Group in Latrobe. So a quick dash over to Latrobe to find the office had closed only minutes earlier. I did manage to contact the President who was willing to open up the following morning (Saturday). I did manage to get Melissa who is house sitting for us to look at my notes and find the plot number. That was Friday taken care of so Saturday we set out for a run along the North West coast but first stop was the Don Cemetery and have a wander, unfortunately there were no indicators of plot numbers but I was satisfied that I had visited his burial place. Then we headed west and went up some hills that overlooked the Forth Valley. This is a very rich food growing area. The view was great and every where was green. 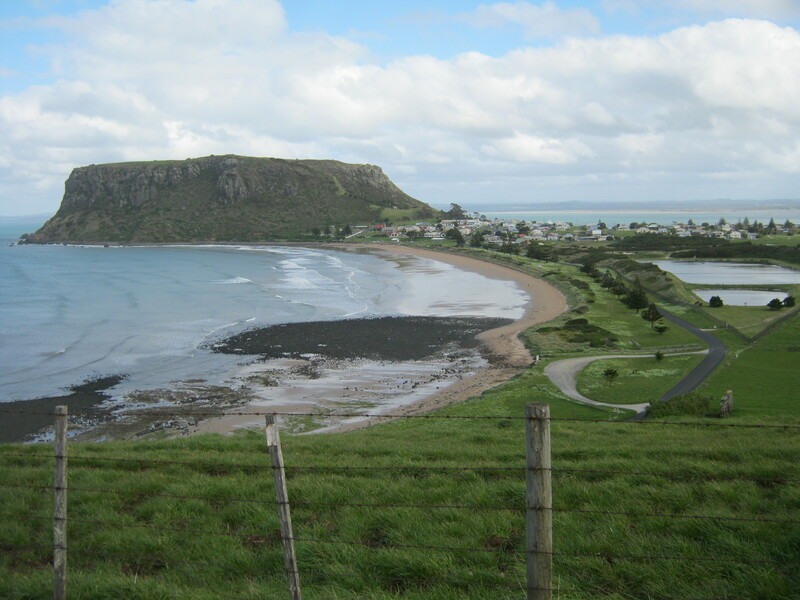 On we went through Ulverstone and followed the coast to Penguin. Here we had a coffee and cake overlooking the water. The coffee was one of the best I’ve ever had. Next door was a Uniting Church. 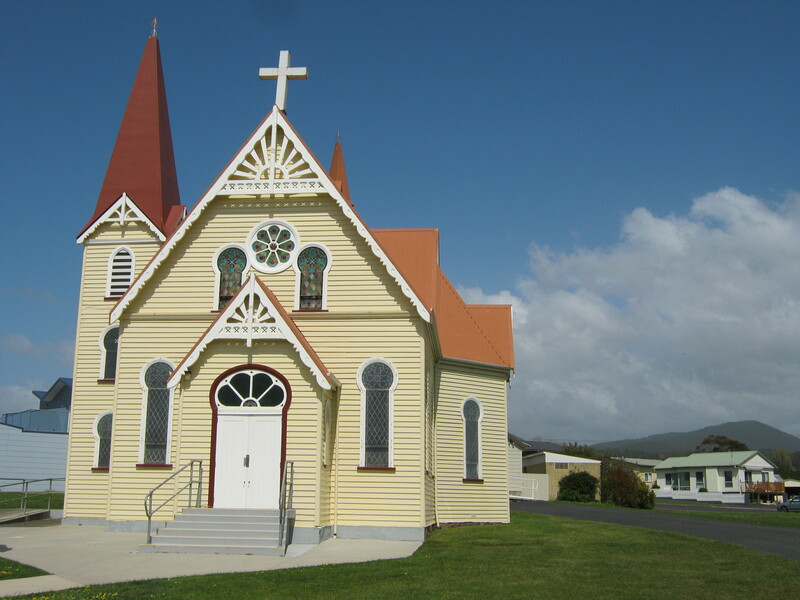 This was weatherboard in “an exotic variant of the Federation Carpenter Gothic style”. There is something you can Google. A parishioner was going to do the flowers so allowed us in to see inside. The timber work inside was fantastic. 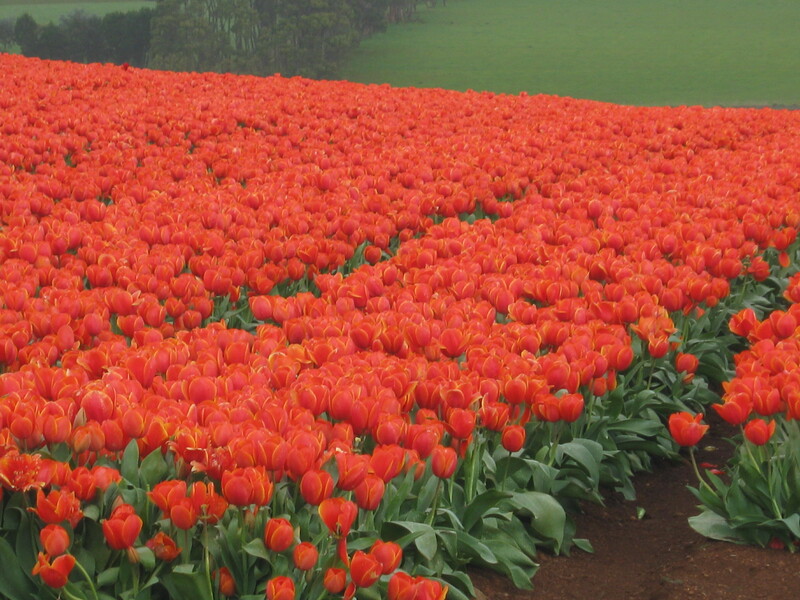 On we continued to Wynyard, the town has tulips in bloom lining the streets and out of the town were fields of tulips. Stanley was our next point of call. Stanley is set at the base to “The Nut” a volcanic plug in the sea connected to the land by a small isthmus. We have had bad weather the last two days. There has been gale force winds across south east corner of South Australia and Victoria. Monday night in Adelaide was very windy an several trees were blown down causing traffic chaos. We made it out of the city to travel to Mount Gambier via the coast, probably not a good move as we were buffeted by the strong winds. In Mount Gambier we only gave the Blue Lake a cursory glance and setup camp at the caravan park. It rained most of the night and the wind continued. This morning we debated whether to stay put or go on closer to Melbourne. We set off in the wind and the rain. We decided to go the inland route instead of the Great Ocean Road. We had to drive around one fallen tree on the way but we made it to Geelong the mid afternoon and the sun broke through but only for short periods. 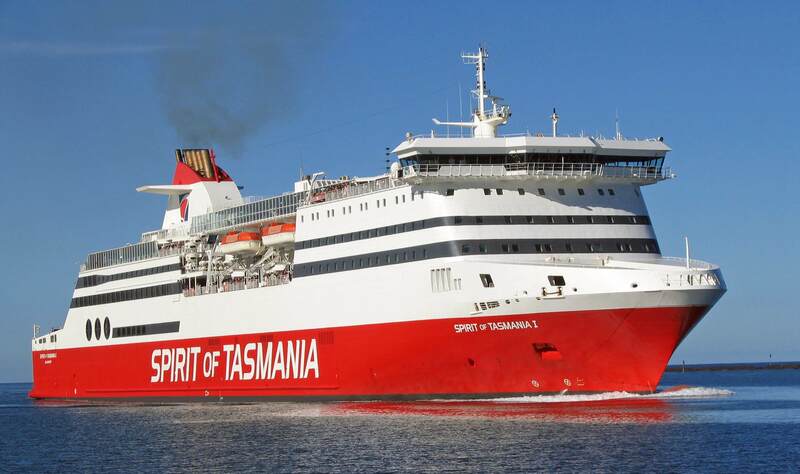 The wind has dropped a little and hopefully tomorrows crossing of Bass Strait will be comfortable.